Kalpa is a little known town situated in the lap of the mighty 19965 feet Kinner Kailash peak, around 240kms from Shimla. Situated at an altitude of 9711 feet, Kalpa is surrounded by snowy peak for almost the whole year. One gets a clear view of the sacred Kinner Kailash peak as well as its sister peaks. You can get a chance to bike to this place, band in the middle of winters! Kalpa used be to a favourite haunt of Lord Dalhousie, who used to visit this place by travelling next to the Sutluj River in those days.. But nowadays you can easily drive down, although the road is quite tough! From Delhi, Shimla is a comfortable 9hour drive (355kms via Ambala and then NH22). From Shimla, things get interesting. Carry on the NH22 to Narkanda (64kms, an easy 2hr drive), then Rampur (another 73kms, 2 hours). From here on, for a while roads are good but mostly, turn into a bad shape with work going on (the hydro electric power station). But the views make up for it. 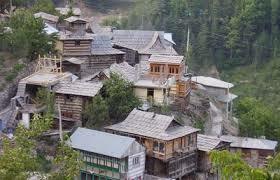 From Rampur, you pass thru Jeori (23kms), Wangtu (37kms) and finally Karcham (20kms). The road from Wangtu to Karcham is in a bad state and occasionally the road is blocked for a couple of hours due to landslide. This valley starts 57 km short of Kalpa which has been named after a beautiful & populous village Sangla. 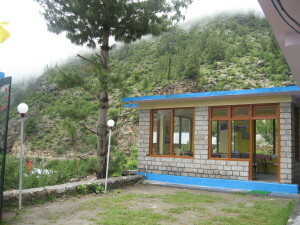 Sangla is situated on the right bank of Baspa river 17 kms. from Karcham. Journey from Karcham onwards is enjoyable and adventurous throughout the valley. The natural scenery all around and the eternal snow view are picturesque and charming. It is also known as Baspa Valley since Baspa river flows through this area. This is the most charming valley in the entire District of Kinnaur. A temple dedicated to Nages god is worth a visit & other places are Sapni, Rackchham, Kilba, Kamru Fort which can also be visited. There are post offices, banks, rest houses for the convenience of the visitors. 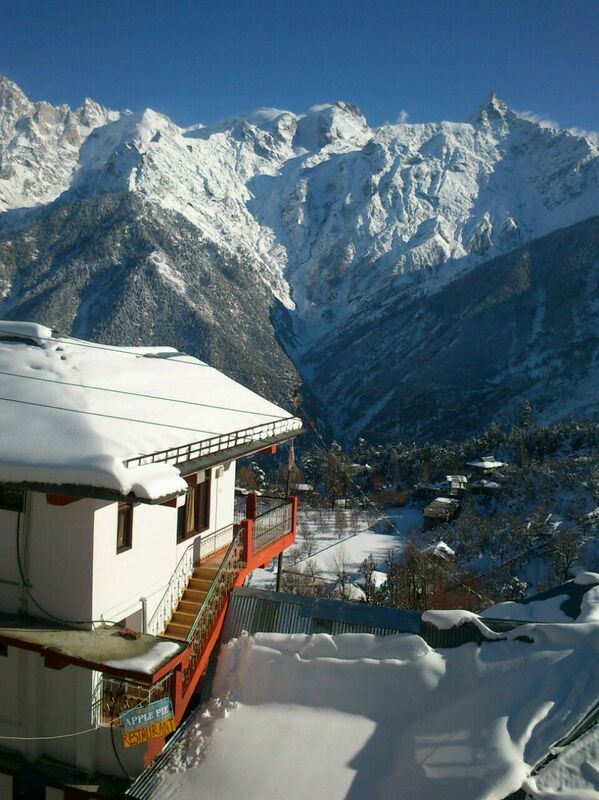 This entry was posted in Beauty of Himachal Pradesh Kinnaur, Beauty of Kinnaur Himachal Pradesh, Hotel in Rakcham Sangla Valley, Kalpa Himachal Pradesh Images, Kinnaur Himachal Pradesh Images, Uncategorized. Bookmark the permalink. Planning to visit Himachal Pradesh! Contact Hotel Apple Pie NOW! Merry Christmas & Happy New Year…!! !